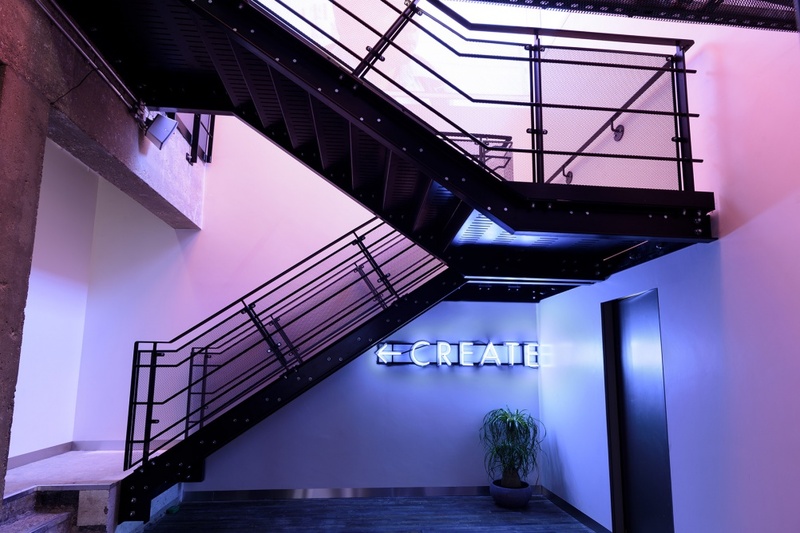 Brinkworth has developed an acoustically-led design, working with specialists to create a space that can foster collaborative projects and events. 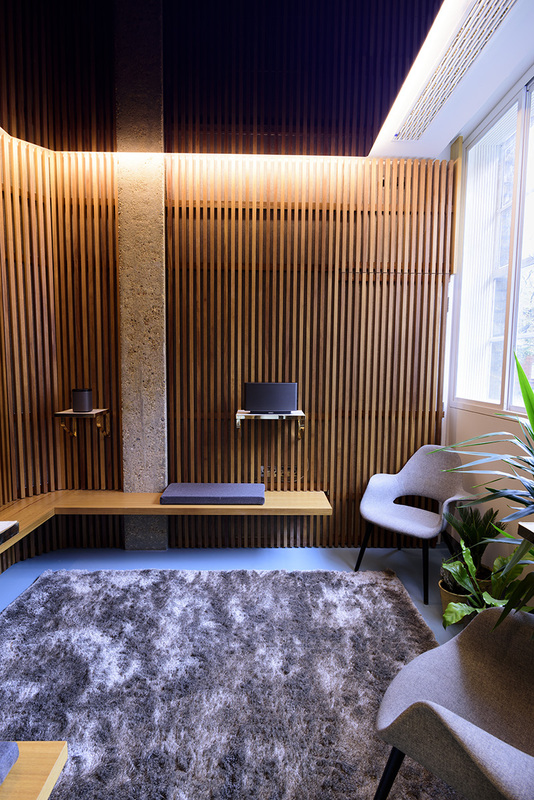 Audio brand Sonos has unveiled a “social, collaborative” brand space in London, which has been designed by Brinkworth with adaptable acoustics. 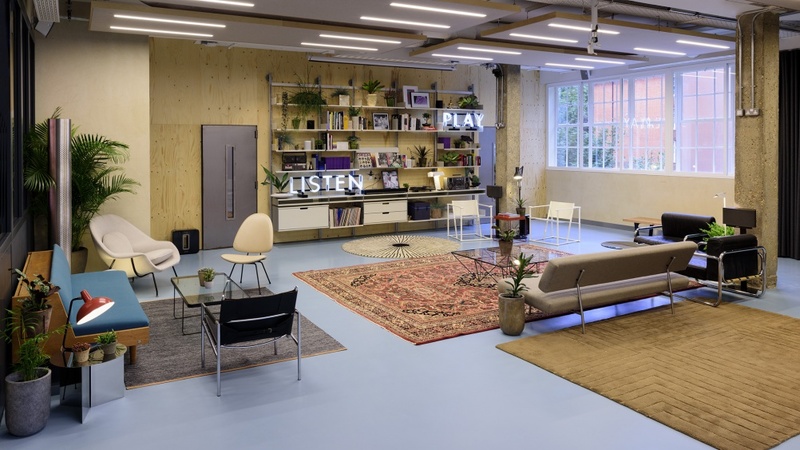 The permanent Sonos Studio London located in East London will connect artists and audiences through music and technological experiences and comprises a concert space, listening rooms, work stations and a café. It is purely a brand experience and entertainment space rather than a retail outlet. Products can’t be purchased there. Brinkworth has looked to keep many of the original features and surfaces of the 1950s building in which the space is located exposed. 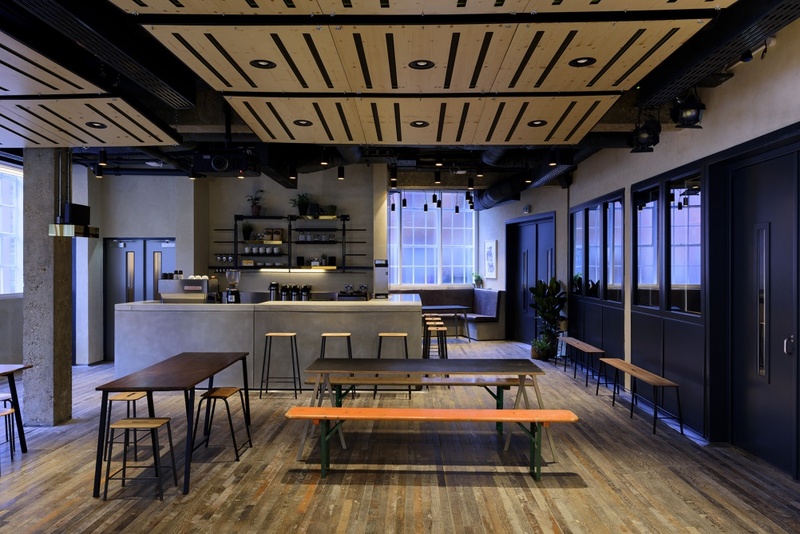 Consultancy director Emma Wynn says Brinkworth has taken control of the acoustics, firstly by ensuring that sound is contained within the building, which is located in a residential area. Wynn says she has also worked with acoustics expert Giles Martin to enhance the acoustics of the rooms. She says downstairs a “tuneable space” has been created for events, which can be manipulated by changing ceiling panels. “They can use different surfaces and angle them, and the walls have moving louvre panels,” says Wynn. A smaller listening room is clad in timber strips which are arranged to have alternating absorbent and reflective surfaces. Aesthetically it has a 1950s feel but the arrangement is primarily for acoustic reasons. Toilets and a bar café are located on the ground floor and some of the peripheral and liminal spaces have subtle touches which reference the Bruce Mau-designed Sonos branding. 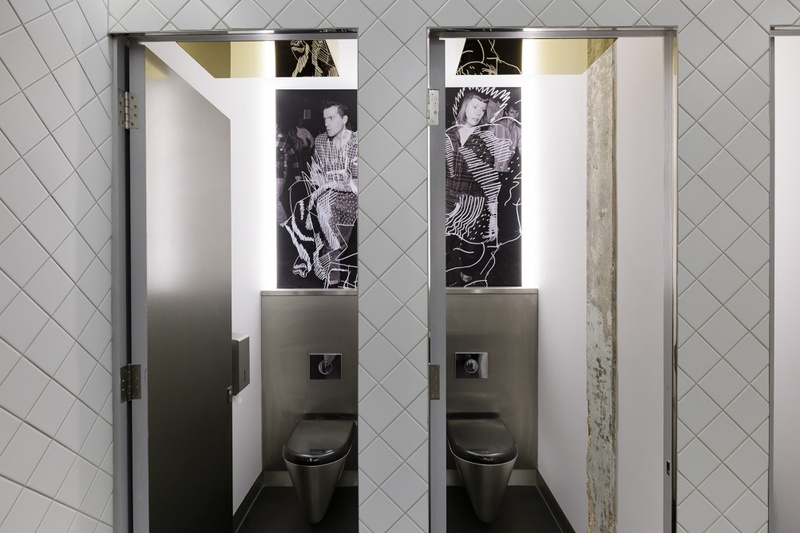 Other toilet tiles reference the identity of Stax Records of Memphis and on a similar musical theme the inside of the toilets cubicles are reflective, which is a nod to the wall of mirrors found at Elvis’ Graceland home. Meanwhile an acoustic wall in the main space has been clad in a visible mesh to reference the mesh found on the outside of Sonos products. Mesh is also installed in the lobby ceiling has the same effect. The timber floor in the ground floor events space has been reclaimed from the BBC’s broadcasting house. 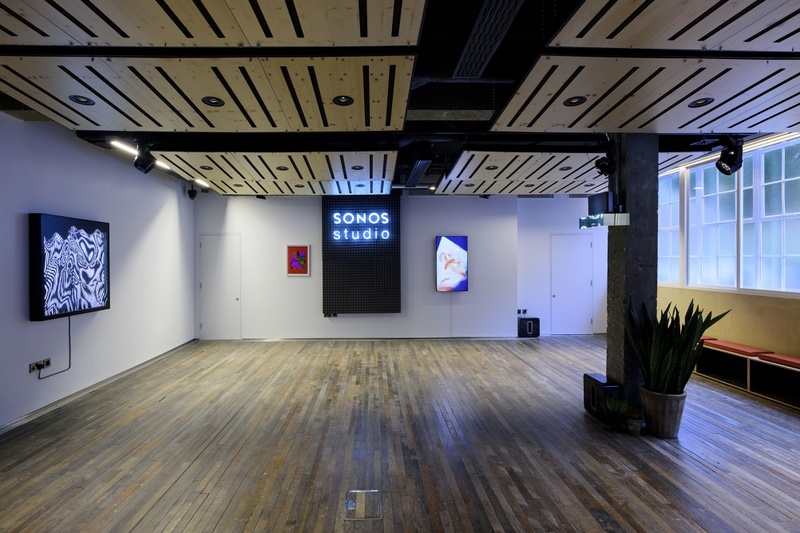 Bruce Mau Design, which rebranded Sonos earlier this year has adapted the brand for Sonos Studio London and has developed communications for it. 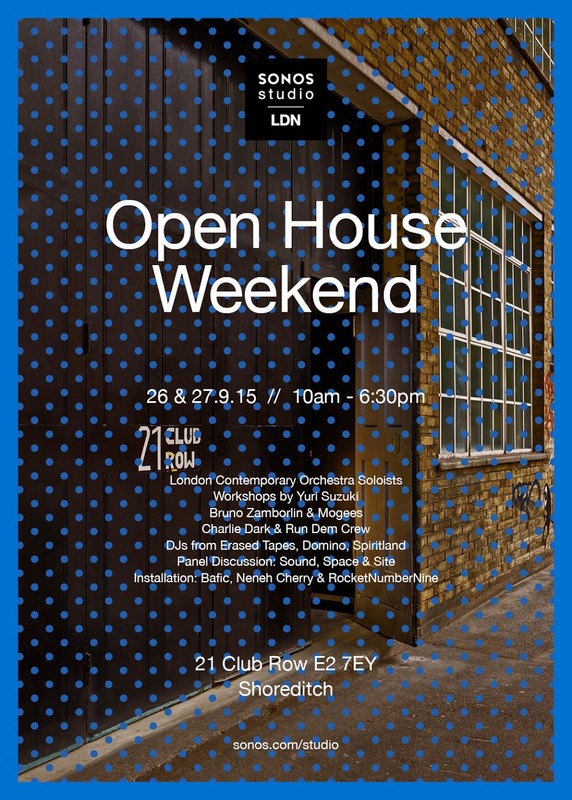 For its opening this weekend Sonos Studio London has commissioned eight artists to create works inspired by sound and technology, some of whom will collaborate on multidisciplinary artworks involving video, sound, sculpture and graphics.